Going green is now a trend. People want to use products that are safe to use and safe to the environment. This is brought on by the environmental awareness programs that are helping people learn more about how we can help conserve natural resources. One of the products that should best be in eco-friendly form is the household detergent. A detergent should be able to clean properly without damaging the skin that comes into contact with the suds and with the clothes that have been washed with it. Not only that, a detergent should also be manufactured without causing any damage to the environment. Some detergents may be safe to use but are actually made through a manufacturing process that produces toxic wastes. Eco friendly detergents allow you to wash your clothes in peace. You no longer need to be concerned how the detergent and fabric softener may be polluting the environment. Is that a nice idea? The good news is that there are alternatives to the detergents now sold in your local store. The bad news is you have to do a little bit of research and then wait for them to be delivered to your door. Well we’ve done the research for you but you will still have to wait for them to be delivered! The laundry room is perhaps the most toxic room in the home. It is the place where we store detergents and fabric softeners which tend to have concentrated levels of chemicals. These toxins are known to be unhealthy to our body, some known to cause harm. So it’s no surprise that many people look for a eco-friendly and save alternatives to wash their clothes in. Many products on the supermarket shelve claim that they are safe to the environment but do they really live up to their claim? Or are they just jumping on the latest marketing craze? Can we be sure that products really live up to their claims that products are biodegradable, organic or non-toxic? Laundry products don’t have the same regulations as the food industry. Manufactures are not required to prove the claims they make or even list the ingredients which make up their products. The responsibility is with the consumer to evaluate the product itself. When you are buying environmentally friendly laundry products look out for ones that list the actual ingredients. Give your support by purchasing these ones. Two such companies showing they have nothing to hid by listing there ingredients are Ecover and Seventh Generation. Even though they aren’t required by law to show the ingredients they definitely show their integrity by doing so. You also want to see words telling you about the ingredients which are NOT in the detergent such as “no phosphates” and “chlorine-free”. Clorine bleach to some degree is widely used in homes but it is very toxic and shouldn’t be used at all. A good alternative to chlorine bleach is hydrogen peroxide bleach. It’s possible to use household products such as baking soda, white vinegar or essential oils to make homemade recipes that can be pretty effective cleaning agents. If you make them label them clearly as “homemade” and keep them away from kids where they cannot grab them. Never mix ammonia and chlorine bleach together, the results are tremendously toxic. Pick a detergent that does not make use of artificial colors and strong fragrances. If possible, go for detergents that do not make use of fragrance at all. There are, however, some eco-friendly and proven safe detergents that make use of mild fragrances. You will notice that those scents do not linger too long. These scents are just there to create a cleaner, fresher air to your laundry. If you want something that will be gentle on the environment, you should go for biodegradable detergents. Manufacturers of eco-friendly products are proud to have offered the market something biodegradable. So it would be easy for you to know whether or not a supposedly eco-friendly product is biodegradable, just check out the label. Stay away from detergents that contain toxic ingredients or chemical compounds. Take a careful look at the list of ingredients indicated in the packaging. If you want to research on the ingredients of a particular product, you can look up the names on the Internet. This way, you will know if the product is truly safe. Sometimes, products are hailed as safe but their product labels say otherwise. Consumers are either too busy or too trusting to check the information if these were accurate at all. If there are toxic ingredients, slash the detergent from your list of possible buys. Take a look at the packaging. A detergent can be advertised as eco-friendly but is actually just paying lip service to the environment-friendly trend. One clue to the insincerity of an advertisement is the packaging. The ingredients of the detergent may be eco-friendly (fragrance-free, free of artificial colors, non-toxic, biodegradable), but the packaging may not be. An example of this is huge, stuffy, and wasteful packaging. Steer away from a supposedly eco-friendly product with such a packaging. Its manufacturers are probably not sincere about their mission to save the environment. Why else would they waste too much paper on packaging? Go for products with simple and even recycled packaging. Pick plant-based over petroleum-based products. If you want to help save oil that could power a lot of households in a year, you should go for plant-based detergents. Traditional detergents have made use of petroleum. Choosing plant-based over petroleum-based detergents will help save a lot of energy that could be used for other things. This pointer is a sort of summary of other pointers. Still, it is important to emphasize that research is needed. Why? This is because manufacturers are not required to prove that their products are truly eco-friendly. It is your duty then to know if you are about to bring a toxic product into your home. If you like, you can even phone the company and ask questions or raise some of your doubts about the product. A company that is manufacturing genuinely eco-friendly products will not be afraid to answer your questions. Brands such as Seventh Generation and Ecover bring eco-friendly products to the laundry market. These brands are specially good at revealing their ingredients to consumers who really want safe detergents, either because they support anything that benefits the environment or they want their families to be safe. Other eco-friendly detergents are Biokleen and TJ’s Powder. 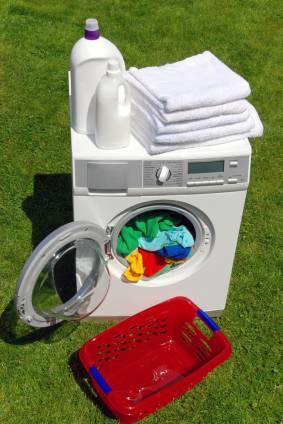 You could compare and contrast these eco-friendly detergents based on the prices that suit your budget, loads that will last your laundry, and ability to remove tough stains. One other option you can consider is making your own detergent. This way, you are very sure what gets into your detergent. You will need grated soap, a half cup of baking soda, and a half cup of borax, which acts as your cleaning agent. Borax is fairly safe, but large doses of it can be fatal. Combine all these ingredients and place your mixture inside a sealed container. Even though your mixture is eco-friendly and safe, you should still store the homemade detergent away from young children. Two tablespoons of this mixture is enough to clean up heavily soiled clothes. You can use just one tablespoon for clothes that have been barely dirtied. Make that move towards eco-friendly products. Going green is not only a cool thing to do, but the right thing to do. Fortunately, more and more companies are producing eco-friendly detergents. And so, you could forget about the times when cleaning your kitchen and bathroom or washing your clothes meant exposing yourself to products with toxic ingredients. Of course, no matter what type of detergent you are using, you should always ensure the safety of your children. As much as possible, you should keep detergents away from them. You should also know how to administer first aid in case of accidental ingestion of a household detergent. Keep away from products which have on the label “warning” , “caution” or “danger.” The products with “poison” or “danger” are the most harmful. 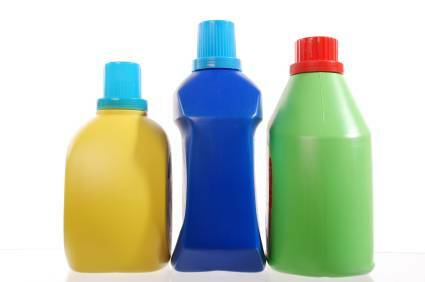 Keep away from labels such as Corrosive, chlorine bleach, ammonia, phosphates, and petroleum products. These chemicals can be harmful to your family as well as the environment. Choose products which list there ingredients. Choose detergents made from plant based ingredients rather than petroleum based. If you’re unsure phone the company up and ask as many specific questions as you want. If they don’t answer your questions then perhaps you should look for another product. These tips will help reduce the impact you have on the environment. You will reduce the chemicals in your home and may even end up saving a little money. There are eco-friendly products out there to buy, or on the other hand you could try making your own! Related Article Seventh Generation Natural Laundry Detergent.